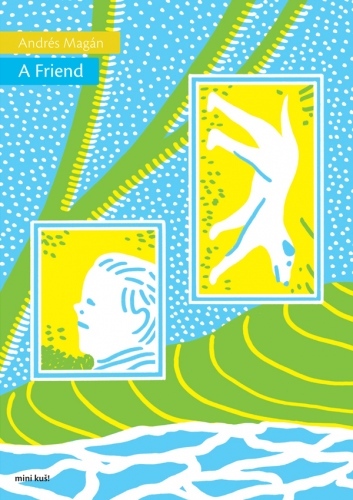 At this point in my life I feel like I shouldn’t be so surprised with the great talent that Latvian publisher kuš features in the mini-kuš line. A Friend is no exception, featuring an unnamed man searching for his lost dog. Magán uses a simple palette, with a navy for linework and yellow as a spot color. The book has a cyclical nature, where whole pages are repeated with minor changes. In that cycle, Magán toys with reader expectations and calls into question the very nature of the narrative. The book is titled A Friend, but the man doesn’t really seem to care much for the dog, or pay it any attention. It is lost, and then returned, but rather than rejoicing, he just walks away. 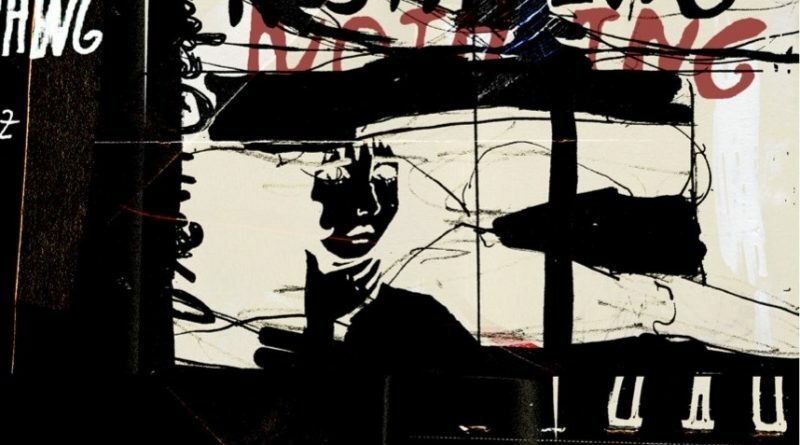 A shattered glass window, a police officer’s report – through minor additions and subtractions, we begin to see Magán’s comic not as a cycle, but as a whirlpool, dragging the reader further and further under the depths. The question “Where is your dog?” that crops up again and again in the narrative feels almost like a “Where are you?” and never actually a question about the presence of a likely imagined animal companion. This enigma, the madness and despair of it, makes Magán’s comic a stunner. A collection of sketchbook pages and paintings, Fifi Martinez’s debut comics work from 2dcloud shows the breakdown and implosion of relationship. It’s a mixed media torrent, full of sketches, paintings, repeated text, whiteout, seemingly coming into being by coalescing on the scanner bed. 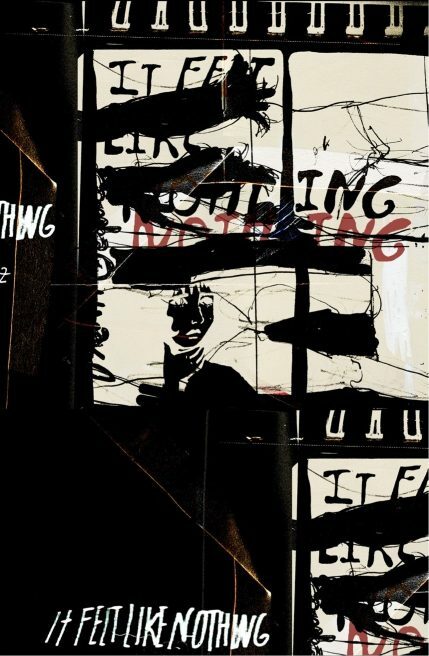 Martinez’s sense of despair and rage is palpable in the way the text and image combine, sometimes integrated into the base image, and sometimes scrawled on top. There’s a sense of processing, a churning of information, as though It Felt Like Nothing is the cathartic action of a person processing and finalizing a portion of their life. Sometimes this comic feels like a sob, and other times like a raw scream. I’ve always been impressed with the way John Porcellino’s comics are so spare and clean. In Porcellino’s comics, every line has to be impeccable, because there’s nothing to hide behind. 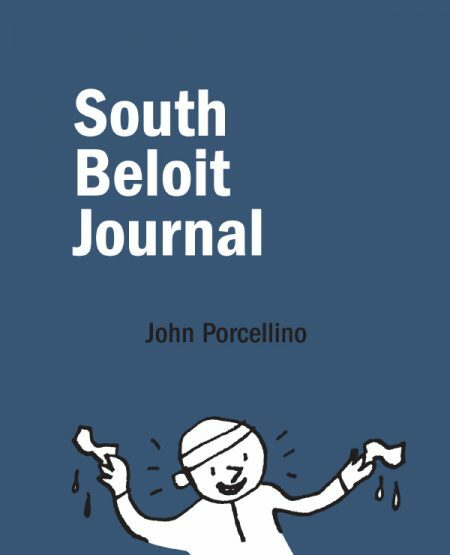 In South Beloit Journal, Porcellino uses some scrap paper to make daily journal comics in likely one of the lowest times in his life. He’s divorced, often contemplating suicide, and often with only a few dollars to his name. The difference between Porcellino’s traditional work and South Beloit Journal is how messy these comics are, and how comparatively unrestrained they are. Here Porcellino talks about his pain and his mental illness in very stark terms, but his characteristic wry humor remains. While these aren’t easy comics to read, I ultimately found the collection hopeful – South Beloit Journal is a window into the night of a person’s life, with the knowledge that while that darkness still exists, the sun also rises. Smoke Signal is a newsprint anthology put out by Desert Island – it’s given out for free at their Brooklyn NY comic shop, but you can also buy one online if you are so inclined. This special international edition was curated by the publishers of kuš, and I’ve come to value their editorial eye. 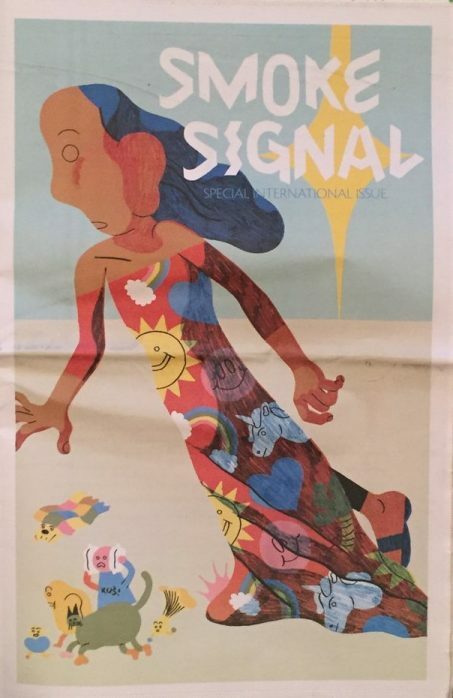 Smoke Signal Special International Issue contains comics from 36 individual artists from 28 different countries, and it’s printed in full color. As a collection, it features some highly creative and beautiful work. I was particularly impressed with the comics of Jean de Wet, Marlene Krause, Max Baitinger, Amanada Baeza, and Zosia Dzierżawska. The theme of the anthology is happiness, but I think how cartoonists responded to that prompt is fascinating – some comics are indeed about what makes them happy, but others are the polar opposite. For anyone who is looking to explore the international comics scene, Smoke Signal Special International Issue is a must have. Sequential State is supported by readers like you on Patreon – please consider supporting the site. Thanks!